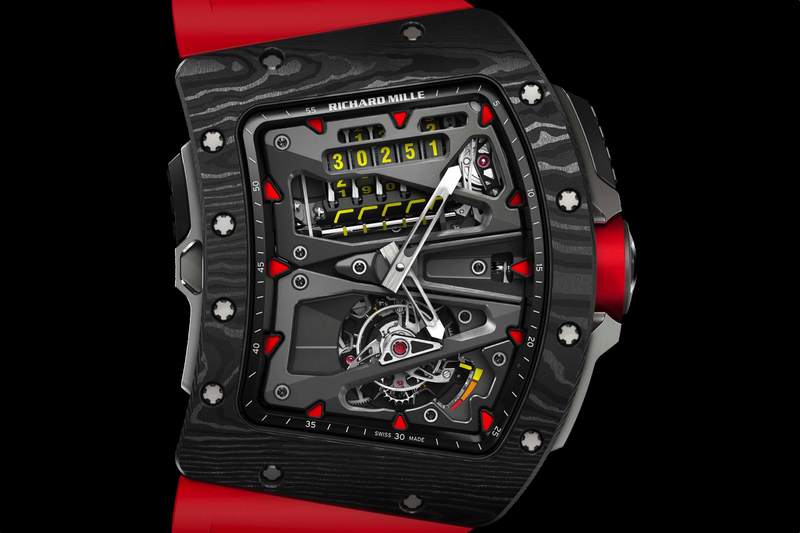 Ahead of SIHH 2012, which starts January 16th, Richard Mille has revealed a new timepiece, the RM 037, along with an all new in-house automatic movement. Powering the RM 037 is the new CRMA1 caliber, a high-tech movement which is skeletonized in grade 5 titanium. It features an oversized date at 12 o’clock and a function window at 4 o’clock. A pusher at 4 o’clock allows the wearer to select the mode: (W) winding, (N) neutral and (H) hand setting functions with a simple push. An aperture a 4 o’clock shows the function selected. A pusher at 10 o’clock controls date changes, useful when the date needs to be corrected or adjusted. 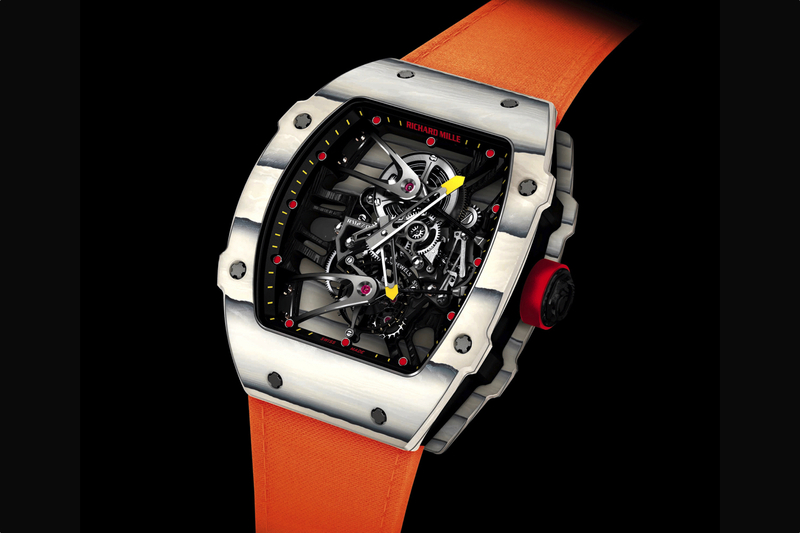 The RM 037 has a new crown mechanism, patented by Richard Mille. Typically, the crown of a watch is attached directly to the movement, but in this case it is instead integrated directly into the case. This eliminates the need for a stem, and the risk of losing the crown or breaking the stem in the movement after a knock is minimalized. The complex case shape is obtained using a high-tech five axis machine. 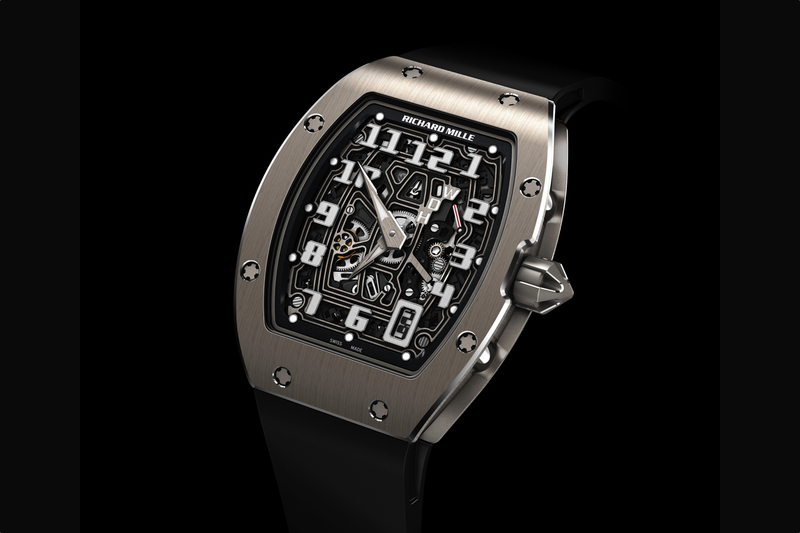 The “Richard Mille” engraving on the back and inside curves of the case require 45 hours per timepiece. The case is water-resistant to 50 meters, ensured by two Nitril O-ring seals. The case assembly uses 20 spline screws in grade 5 titanium, and abrasion-resistant washers in 316L stainless steel. Power reserve 50-hours, variable geometry rotor and free sprung balance with variable inertia.